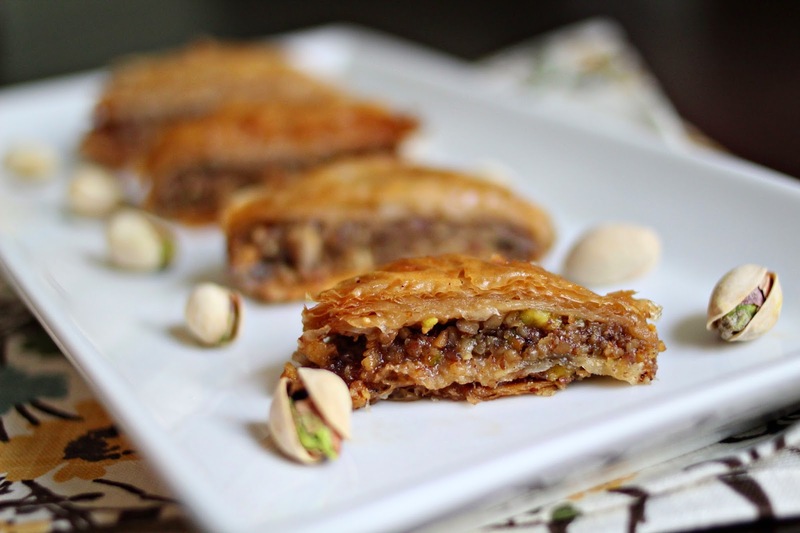 Baklava is one of those dishes that always seemed so difficult to make. And although it was a bit laborious, it definitely wasn't difficult. The assembly is much like you prepare a lasagna. I wanted to try making this dish myself because I find that usually the baklava you buy in the store or at restaurants tends to be too sweet or taste too much like honey. I totally omitted the honey for this recipe and I think that was a good call. I can't take credit for that, my husband was the one who told me to leave it out since he's not a big fan of the taste of honey. Anyhow, this dish is unleavened, which means it's perfect for the Passover season, and incredibly delicious to boot. The first thing you'll do is pre-heat the oven to 350 degrees. Place the walnuts and pistachios into a food processor and pulse until you have a fine nut meal. Transfer the nuts into a large mixing bowl an mix in the cinnamon and sugar set aside. Next, begin making the syrup by adding the water and sugar to a sauce pot and letting it simmer for about 15-20 minutes or until the mixture has thickened a bit- it should have the viscosity of cough syrup. I know that sounds kind of gross, but I couldn't think of anything else with that same thickness. Side note: Most recipes for Baklava call for honey, but I personally find the honey to be too overpowering and sweet. The brown sugar in the syrup gives it enough taste without being too strong. Melt the butter in a bowl and using a pastry brush, brush the bottom of your baking pan with a little butter. Next place one sheet of the filo dough. Word of caution- you have to work fast with the filo dough otherwise it will dry out and the edges will begin to curl or crack. Alternately , you can place a damp towel over the dough to combat this issue. Also, make sure the dough is completely thawed, otherwise it will be really difficult to handle. Spray the top of the filo dough with a little cooking spray and layer another sheet on top. My method was to butter every fifth sheet and spray all of the other ones in between, otherwise this dish would use a TON of butter. You'll want to repeat the layering process until you have 20 sheets laid down in the bottom. After you have the 20 sheets laid down, add half of the nut mixture on top of the filo dough and spread evenly. Lay another 5 sheets of filo dough, spraying and buttering the first and last sheet. After you've laid 5 more sheets down, place the remaining nut mixture on top of the filo and finish by layering and buttering the last 15 sheets of filo over the mixture, making sure to use butter for the top layer. Using a really really sharp knife, score the baklava into diamond shapes. Bake for one hour and remove from the oven to cool for about 15 minutes. Spoon the syrup mixture over the top of the dessert, cover with foil and refrigerate overnight or for at least four hours before serving. 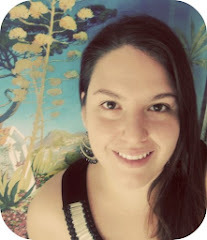 I'm so glad I found your blog via TikiTiki. From one Cubana to another, I love this space. Great blog title! So, this recipe is great. Has all the yummy components to make one happy. Que rico los pistachios... I just made a pistachio flan for a client and he looooved it! Again, nice to connect with you!